Growing together in our care for creation. Part of our mission at DuBois Center is to engage in creation care. We believe outdoor and experiential education inspires students to care for creation and provides the best opportunity for students to engage in team and community building. 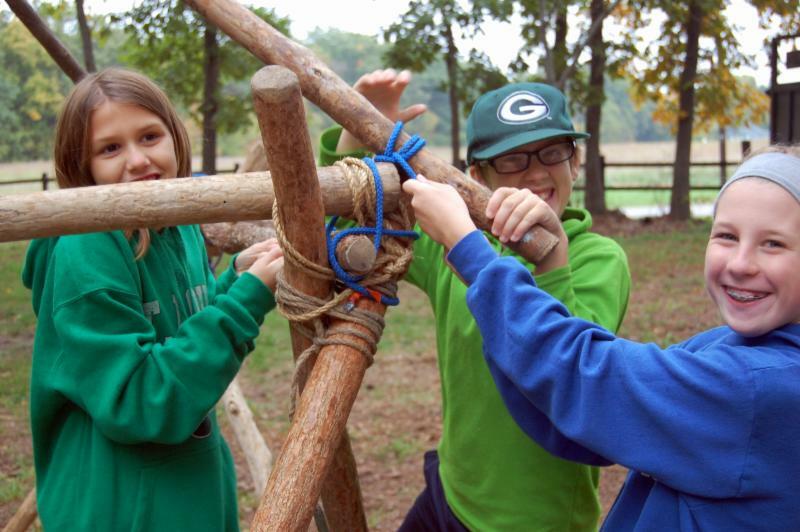 Nature’s Classroom is a residential camp program that focuses on hands-on experiential learning. Learning in and from the natural environment allows students to engage in meaningful learning that goes beyond lessons gained in a typical classroom. Activities cover a variety of topics in the subject areas of social and physical science, math, art, and physical education. Outdoor experiential education opportunities are crucial to the development of our children. With each generation, fewer children are participating in authentic nature-based experiences. Children are plugged into some kind of electronic device an average of 5 ½ hours a day. There are increasing fears from parents about their children’s safety, which might create barriers to connecting with a natural environment. It has been shown that nature-based experiences help to reduce stress and improve mood. Children who engage in learning experiences in nature simultaneously stimulate all their senses, facilitating learning. At DuBois Center we provide a safe environment where children and adults alike can learn in and from their natural surroundings. We practice a “challenge by choice” philosophy which helps facilitate team building by encouraging students to choose their level of participation, work towards achieving their goals, and push beyond their comfort zone. DuBois Center is a place where young people can practice self-exploration and positive risk taking in a safe environment. DuBois Center provides qualified and trained staff to lead students in all activities. Our staff come from varied backgrounds which allows for our instructors to teach in areas they are passionate about, providing more in-depth learning for students. Check out our employment page if you are interested in joining the Nature’s Classroom team, or contact DuBois Center for more information.